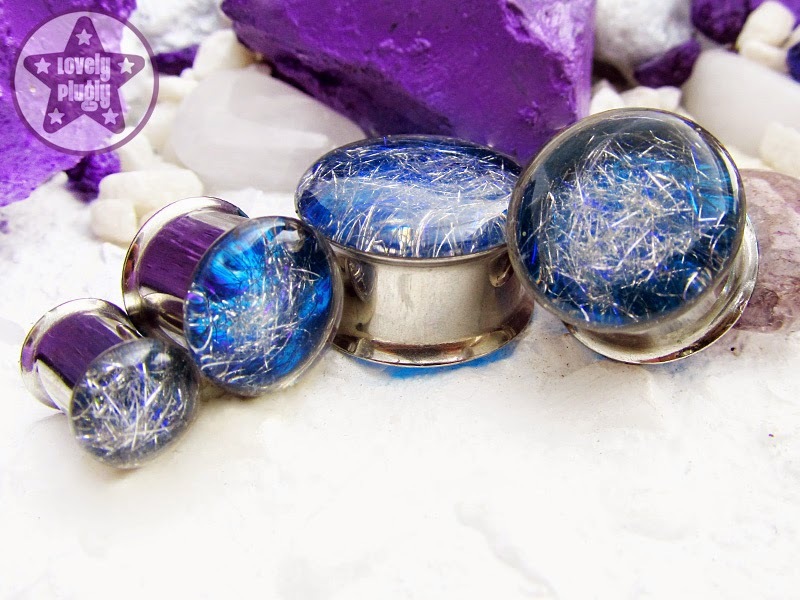 This month's Plugs of the Month are the very lovely Subspace plugs in blue and silver. These have flashes of silver and blue against a translucent blue background and they're bloomin' gorgeous. Photos don't these justice at all -- they tend to look rather two-dimensional in the pics when they have three wonderful dimensions of silver and blue sparkle.